Warning signs: The lack of awareness about autism in China may delay diagnosis for many children with the condition. Routine screening could help toddlers in China get diagnosed with autism about 14 months earlier than they are on average. The finding, from a trial in one district in Shanghai, represents a new push in the country to increase awareness of the condition1. The trial used a multi-step screening method that also identified children whose parents would otherwise not have pursued a diagnosis. Autism was not reported in China until 1982 — nearly 40 years after it was first described in the United States — and awareness continues to lag behind that of other countries. Many Chinese parents view the condition as a severe disability with a poor prognosis and may be unaware of subtle autistic traits in their children, says lead researcher Xiu Xu, chief of child healthcare at the Children’s Hospital of Fudan University in Shanghai. “In China, parents are more likely to resist the possibility of an autism diagnosis for their kids,” Xu says. Chinese doctors and researchers, too, have been slow to recognize autism as a condition, but the new work represents a change in the government’s focus, says Andy Shih, senior vice president of public health and inclusion at Autism Speaks, an autism advocacy organization. “Now they’re investing hundreds of millions of dollars into these health practices and infrastructure,” Shih says. The American Academy of Pediatrics recommends that doctors screen children for autism at 18 and 24 months of age. But doctors in China do not routinely screen children for the condition. 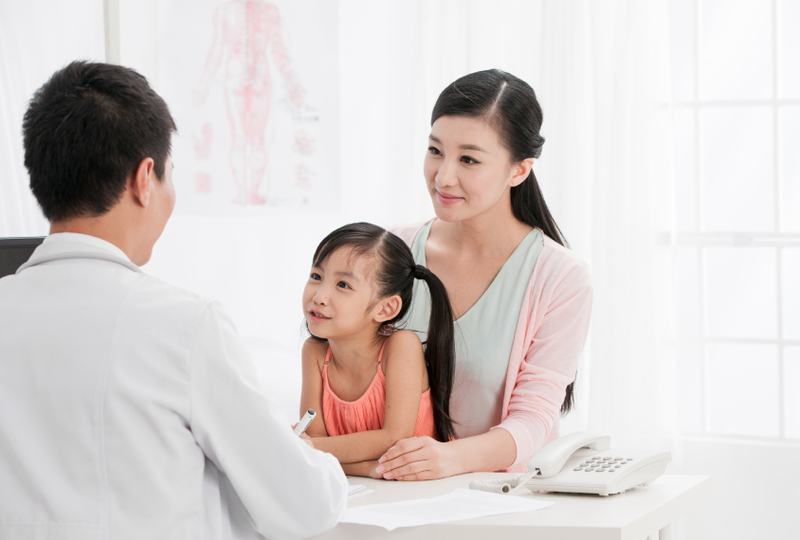 Xu and her colleagues tested whether they could integrate a routine screening into the Chinese healthcare system, which includes community health centers for well visits, and two tiers of hospitals for specialized care. The researchers used a version of an autism screening tool commonly used in the United States, the Modified Checklist for Autism in Toddlers (M-CHAT). In the test, called the CHAT-23, caregivers answer 23 questions about their child, and a clinician sees only the children who screen positive. In the initial year of the study, doctors gave the questionnaire to parents of 4,954 children at their 18- and 24-month well visits. They referred the 71 children who screened positive to a hospital, where a clinician would observe the child; only 33 of the 71 families took their child to the hospital, however. The researchers referred the children flagged after this step to another hospital for official diagnosis. Doctors there diagnosed five children with autism, which amounts to a rate of 1 in 1,000. Xu’s team then improved their approach. They used two short tests of behavior along with the CHAT-23: whether a child responds to her name and whether she can follow a simple instruction. This modification flagged three of the children later diagnosed with autism. Over a period of three years, the team screened 17,293 children and flagged 437. The researchers offered parents who declined to go to the hospital a screening by phone instead. This boosted their numbers to 364 children, or 83 percent, of the group, and enabled them to diagnose five children who would otherwise have been lost to follow-up. The researchers encouraged the 110 families whose child screened positive at this stage to go to the hospital for an official diagnosis; they also gave the families information about autism. Of the 81 children who went to the hospital, 37 received an autism diagnosis, doubling the previous rate. All but six of the remaining children were diagnosed with intellectual disability or language delay. The work appeared 19 September in Autism Research. “The take-home message from this is that no screening tool should be used in isolation. Rather, screening should be integrated with other routine care approaches to detect autism,” says Diana Robins, associate professor of psychology at Drexel University in Philadelphia. The CHAT-23 questionnaire flagged up to 2.5 percent of the children tested; in the U.S., the M-CHAT flags close to 9 percent. This discrepancy might be due to cultural differences that affect how parents interpret the questions, Robins says. There were no obvious cultural barriers to using the questionnaire, Xu says. However, she and her colleagues did not initially tell parents the screen was for autism, as families might not have agreed to participate if they had known. In a second study published in July, researchers screened nearly 8,000 toddlers in China using another M-CHAT version that they translated and adjusted for cultural differences. For example, it asks whether children help to wipe the table rather than whether they mow the lawn; 82 of the toddlers ultimately received an autism diagnosis2. It isn’t clear why these researchers flagged a higher proportion of children than Xu’s team did, says Robins, a collaborator on the study. Xu and her colleagues are working to implement the screen in other provinces by training visiting doctors for three to six months and sending trainers to hospitals.